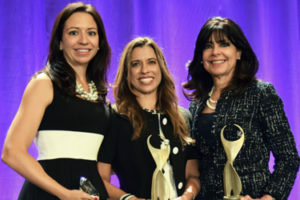 Respected businesswomen and role models: Catherine Alonzo, Rebecca Clyde and Maria Harper-Marinick are the 2016 ATHENA recipients. Visit HERE for photos from the ATHENA Awards luncheon. Videos of the ATHENA recipients can be viewed HERE. Visit HERE for the #ATHENA2016 Twitter stream from @phxchamber.